When heading back to base from a medical examination, a military helicopter crew were beamed up Start-Trek style by a huge craft including green beam. The British Roswell is one of the most documented cases in the UK UFO history. Besides spots and indendations tests also found radioactive anomalies. When Robert Taylor in November 1979 was about to check out some sampling he carried out. He would never expect the life changing event that would take place a few moments later. Word UFO Day has been founded by UFO hunter Haktan Akdogan in 2001 and should give you the opportunity to reflect and ponder about the possibility that we are not alone in the universe. 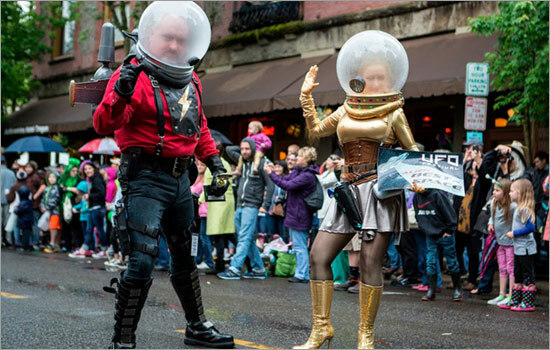 There are many reasons why this day became popular in the UFO community. First of all it it commemorate the birthday of Kenneth Arnold having his UFO observation near Mount Rainier on June 24th, 1947 with his CallAir monoplane. on Monday, 25 June 2018. Well-known brand Revell has been long in business and are still popular with their model kits. 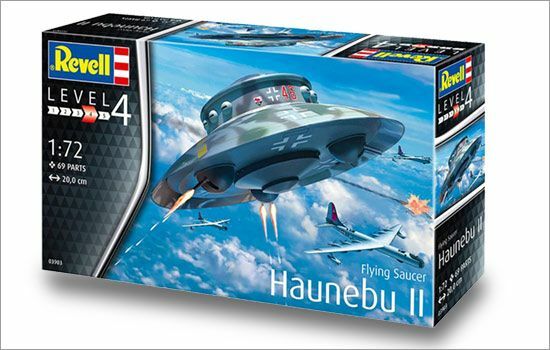 It is now expresses regret for the Nazi UFO Haunebu II product and will pull it down from stores shortly. Hi @StephYoungAuth, any other way to contact you other than twitter or your official website form? I'm not getting through. UFO Weekly News preselected the best litrature available and keeps you posted about new publications. Browse through the most documented UFO sightings in history. Each file contains details as location, witnesses and year. Unabridged list of mainstream researchers who have shown interest in the UFO phenomenon. UFO Weekly News looks out for the latest reports about UFO's around the world. Don't miss out and follow us on twitter now!